What makes Monet Aesthetic Dentistry different from your typical dental office is that instead of focusing on our bottom line, we focus on relationships, and that all starts with Dr. Metzger. She sees every patient as an opportunity to help someone and gain a new friend, creating the warm and welcoming environment our patients love. Of course, every good relationship must start with an introduction, so below, you can learn more about what drew Dr. Metzger to dentistry, where she went to school, and how she stays busy outside of the office. Like many dentists, Dr. Metzger was initially drawn to the profession because she saw it as a chance to help people in a meaningful way. She liked the one-on-one interaction with patients that dentistry affords, plus she finds it very fulfilling to be able to improve a person’s health and appearance at the same time. Over the years, her passion for service has only grown, and you’ll feel that at every appointment. Dr. Metzger earned her dental degree from The Ohio State University College of Dentistry after first earning her bachelor’s degree from Michigan State University. 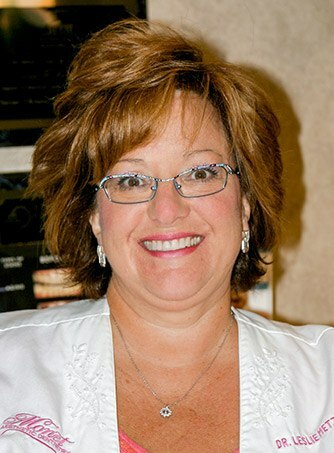 She maintains professional memberships in the American Dental Association and Michigan Dental Association and has furthered her education through postgraduate coursework and training throughout her career. She has attended cosmetic dentistry programs at the prestigious Las Vegas Institute for Advanced Dental Studies. Her commitment to lifelong education means she is constantly evaluating emerging dental methods and technologies in order to provide her patients with the best results in the least invasive manner with a high emphasis on comfort. This commitment ensures the highest level of care, both today and tomorrow. As a member of the professional dental community, Dr. Metzger also participates in the American Association of Cosmetic Dentists, the American Dental Society, and the Michigan Dental Society (MDA) where she has been appointed to the MDA's Continuing Education Committee. She is also the founder and chairperson of the OCDS's Children's Dental Health Month Program and recipient of the prestigious Michigan Dental Association Public Relations Award. An active participant in the community, Dr. Metzger enjoys reading, traveling, boating, and practicing photography in her spare time. She and her husband, Steve DeBrincat, are very proud of their children, Stephen and Morgan, who studied at University of Michigan and Michigan State University, respectively.